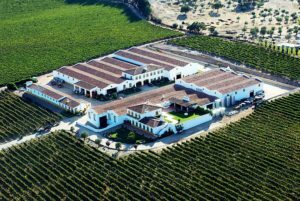 Visiting the most exclusive wineries in the heart of the Alentejo Region. 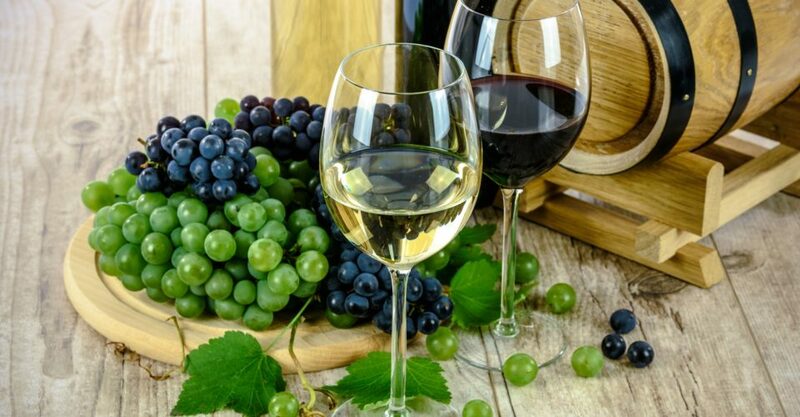 On this tour you will leave Lisbon towards Evora, you can choose 2 wineries from this selected list and we will give you options for wine-tasting with lunch or snacks or just a premium selection of wines. This winery is located in the city of Évora, a UNESCO World Heritage Site, right in the heart of Alentejo. 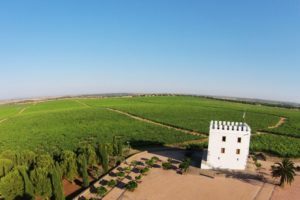 Here will find experiences such as a guided tour of the wine cellar, and food and wine tasting of the some of the best Alentejo wines and regional products. Adega da Cartuxa has undergone several renovations and expansions over time, preserving the richness of its architectural and historical memory. The Cartuxa Cellar – Quinta Valbom is now one of the stage centers of the wines produced by the Eugénio de Almeida Foundation. 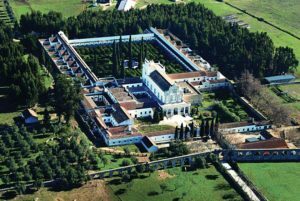 The Adega Cartuxa got its name from the 16th century Mosteiro da Cartuxa (Cartuxa Monastery), that is situated right next to the winery and is part of the Eugénio de Almeida Foundation’s patrimony. Excellence, quality, and individuality in a style of its own are the values recognized by consumers of the Cartuxa brand. Esporão is a prestigious brand in Alentejo and a pioneer in wine tourism. The Herdade do Esporão presents itself as an Estate steeped in history, producer of outstanding quality wines. The Esporão vines are located in the heart of Reguengos de Monsaraz, where wines are more balanced and seductive, simultaneously thriving and pleasant, luxuriant and with good aging potential. If the vines are the lung of the Herdade do Esporão, the cellar is the heart that beats to the rhythm of the harvest and as the result of the work defined by the calendar and by the enology team. Book unique experiences such as a tour to Herdade do Esporão’s Historic Heritage, a guided winery and cellar tour, a blind wine tasting, a bicycle tour with a picnic, or a bird watching experience. Meet the legendary calm of Alentejo while you taste the award-winning wines of João Portugal Ramos. 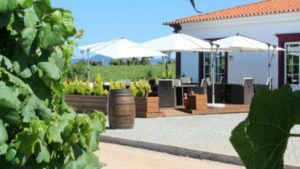 The Adega Vila Santa, in Alentejo, part of the group João Portugal Ramos, invites you to enjoy the serenity of Alentejo while you taste some of the most renowned Portuguese wines. Dated of 1997, this Alentejo style Adega has about nine thousand square meters of covered area and is equipped with the most modern vinification technology, a bottling room and cellars for the aging of wines. Here, modernity embraces harmoniously the centennial Portuguese winemaking tradition. Visitors can book a wide range of experiences like wine tastings, making your own wine, regional products tasting, tour to the wine cellar, cuisine workshop, and meals. To perpetuate the history and the family connection to the world of wine but, simultaneously, designing and building a new path, the Serrano Mira brothers launched, in 1998, the Herdade das Servas. The Serrano Mira family is one of the oldest in the production of wine from Alentejo. Clay jars that were used in the production of wine and date back to 1667 are still preserved in their property. Experience and tradition are shared in the creation of wines with history, in which the “Alentejo body and soul” is reflected in a unique and unmistakable way. Visit its winery and aging cellar, experience wine tasting, and discover new wines and flavors through a blind wine tasting.